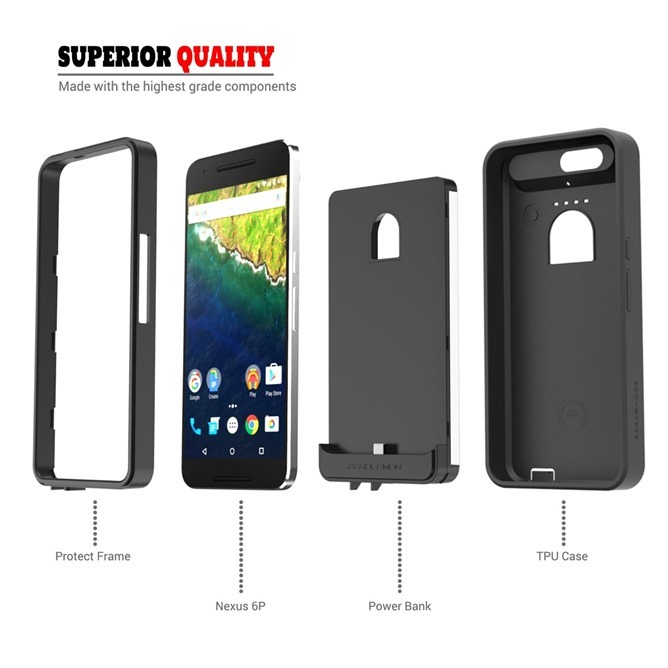 The ZeroLemon listing for the Nexus 6P battery case now shows it as available for purchase. The price is, like we mentioned earlier, $59.99 so it qualifies for free shipping. As a design element, the rear-mounted fingerprint scanner has its fans and its detractors. I'm going to bet that ZeroLemon, suppliers of almost ridiculous battery-boosting cases and replacement shells to the rich and poor, aren't fans. A big honking fingerprint sensor hanging out in the otherwise barren plains of a phone's rear housing means a big hole in any cases made for it, and thus less space to shove every possible spare milliamp into a battery case. 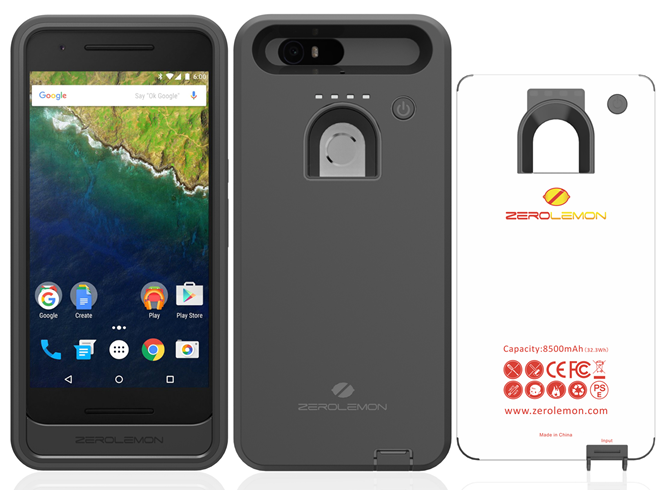 So it is with ZeroLemon's latest addition to its power collection, a battery-case combo for the flagship Nexus 6P. 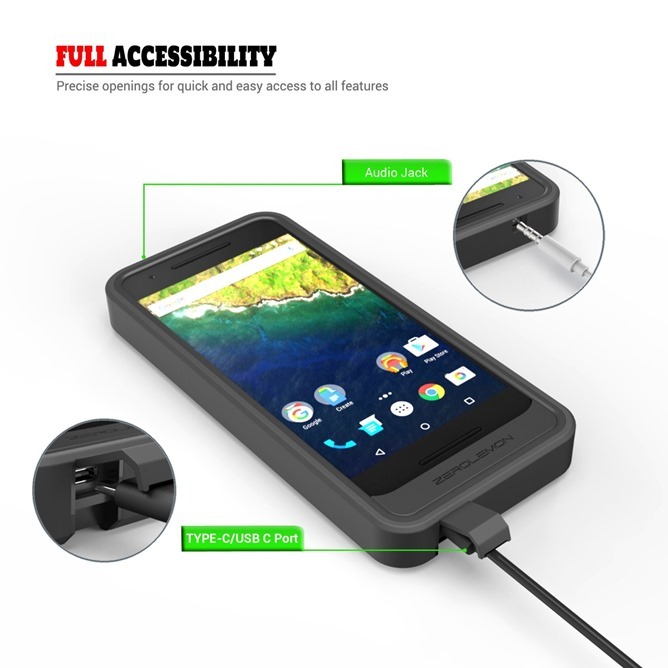 This one isn't actually available yet - according to ZeroLemon's website, the 6P battery case will go on sale later in July for $59.99. 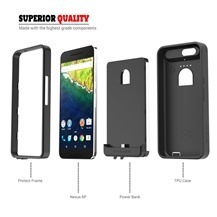 That's in line with most of the other cases and replacement backs ZeroLemon has offered before. There's already an Amazon listing for the accessory, though it can't be purchased yet. This time around the external battery is an impressive 8500mAh, and that's all the more impressive since there's a giant hole in both the case and the battery housing itself. Since the Nexus 6P uses a 3450mAh internal battery, users should see approximately triple the battery life with the battery case added on, though power transfer inefficiency means that the phone won't get every last drop of "juice" with every charge. The phone's own charging port is filled by the case itself, but there's an easily-accessible USB-C port on the case and users can still plug in a pair of headphones. With the case applied the dimensions of the phone balloon up to 182.15 x 87 x 20.85mm, which is taller, wider, and almost three times as thick as its naked footprint. ZeroLemon products come with a 180-day warranty and (usually) free two-day shipping from Amazon Prime. 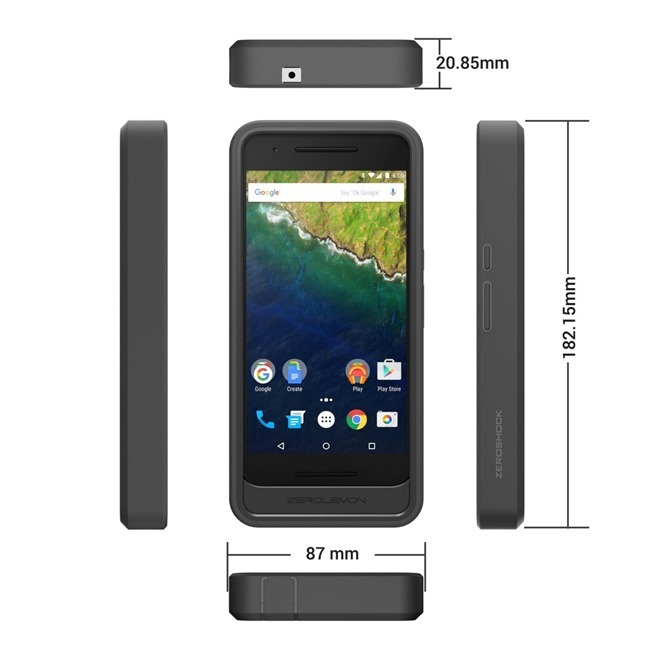 The ZeroLemon listing for the Nexus 6P battery case now shows it as available for purchase. The price is, like we mentioned earlier, $59.99 so it qualifies for free shipping. But beware that the reviews and ratings situation is quite ridiculous now: there are plenty of people rating it 5 stars in anticipation of getting it, and others rating it 1 star just to counter that first group. None of these actually have the case in their hand. There are just 2 reviews from verified purchases and they both are positive, so look at those. Otherwise, we know ZeroLemon's products are usually very good.